Update: ROACH was launched in march 2018 on REXUS 24. Unfortunately the rocket suffered a non-nominal launch. More details about the current state of the project will follow once the investigations are complete. See also here. 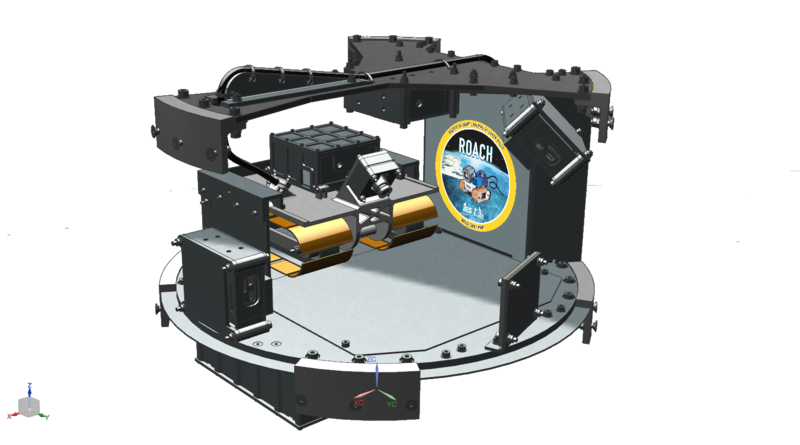 ROACH (Robotic in-Orbit Analysis of Cover Hulls) is our second experiment within the DLR REXUS/BEXUS program. The ROACH-team of KSat successfully applied for a launch aboard REXUS 23/24 in Summer 2016, with launch being targeted in early March 2018. ROACH is currently in project phase D.
ROACH was inspired by concern about the increasing threat to spacecraft by space debris and micrometeorites. Not only are these objects increasing in number each day, but also the likelyhood of mission critical damage rises with more and more spacecraft going into service as launch costs drop. Additionally, material fatigue in the harsh space evironment is a yet unsolved problem. ROACH attempts to counter these dangers by testing a potential new maintenance method. Scheduled in-orbit examination and the ability to provide minor repairs may allow future spacecraft designs to be less conservative and have a longer service life. One way to provide such services may be through miniaturised, autonomous robots, which adhere to their spacecraft's outer hull by electro-adhesion. These robots should be equipped with sensors and tools to perform such tasks. A long-term goal is to develop, build and fly such a robot. ROACH will investigate the feasability of the concept. Additionally, three external cameras and one aboard the rover watch the rover and allow a visual inspection of the experiment’s success. A mirror is installed to provide further viewing angles without installing further cameras. 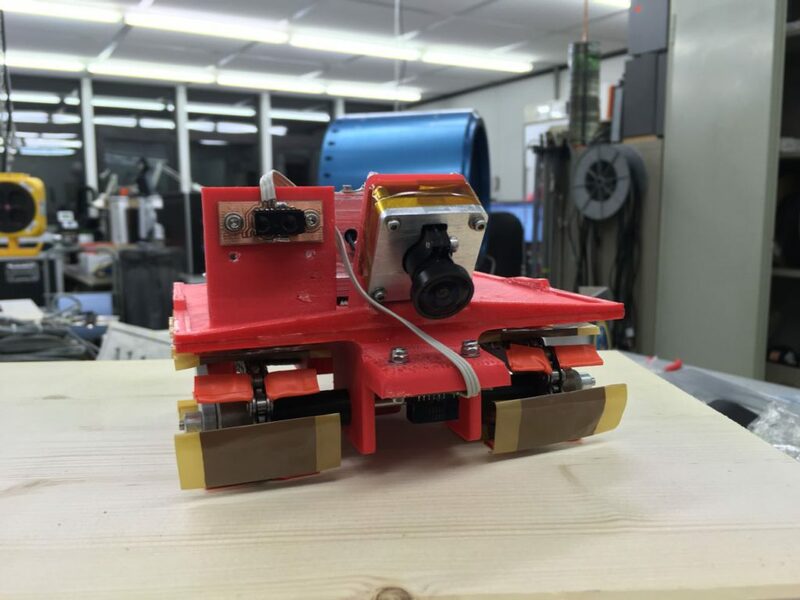 The rover’s hardware is directly controlled by a microcontroller in the rover control unit (RCU) aboard the rover. The connection between the rover and the module is ensured via a cable based on the USB 2.0 standard. Start and end of experiment signals are generally given by the REXUS rocket’s main controller. This signal is given to all experiments aboard the rocket simultaneously. It is then processed by the OBC, which tells the RCU which commands to execute and manages all data. The OBC also serves as the watchdog for the rover. The project’s software is in three languages, as various processors in different environments are used. The ground control station uses Java, the OBC is in Python and the RCU needs C++. The adhesion foils contain many small electrodes in close proximity, which are charged alternating positive and negative by the high voltage generator. The voltage creates electric fields in the space between them. These fields, however, exist not only directly between the electrodes but also extend into nearby spaces. In case of a small distance between the electrode and the target surface these fields spread into the target and move charges within it. This leads to local dipoles that create a force between the foil and the target. The best results so far were found with capton foil DuPont Pyraluc HT8515R, with a polyimide layer 25µm and a copper layer 9µm thick. The electrodes resemble combs. Adhesion forces of up to 2.1 N could be measured for pads 50 x 50 mm² large and applying a voltage of 3 kV DC. When attached to the rover, the total force of four pads sank to ~ 0.5 N. Further improvements are planned until launch. The reduced effectivity is likely due to the chain preventing optimal contact between the foil and the target surface. The experiment was simulated numerically with regards to mechanical and thermal loads. It then undergoes real tests to prove its ability to withstand the vibrational loads, the temperatures and the vacuum. 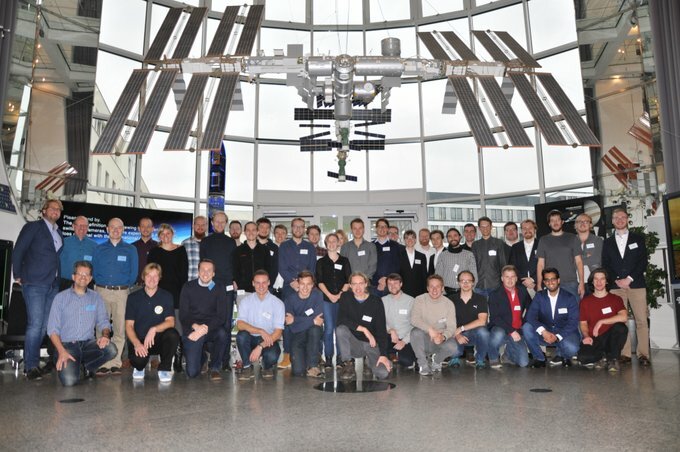 These were conducted at Thales Alenia Space in Ditzingen and at the Center for applied spaceflight and microgravitaion (ZARM) in Bremen. The first row of tests was already successfully completed, particularly the shaker test showed no design deficiencies. The rover's chain and the attached adhesion pads showed an electrical breakdown and an ongoing plasma discharge under certain, limited conditions in the vacuum chamber. 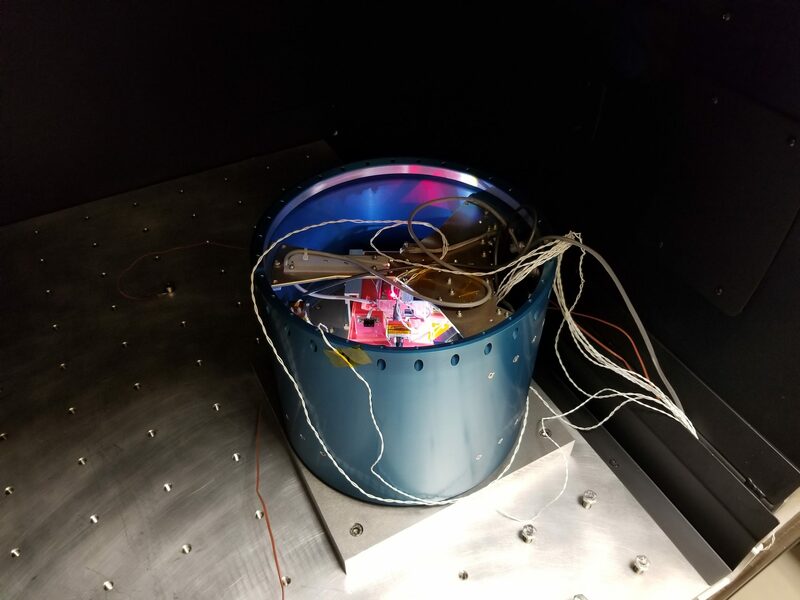 The system was particularly susceptible in a pressure range of 100 mbar to 0.0017 mbar, which happens to be precisely where REXUS experiments are conducted. The metal link chain was thus replaced by a toothed plastic chain, resulting in significant improvements. The pads must be handled with special care, as any damage to their insulation results in eventual electric breakdowns. Further tests intend to use a thicker pad insulation layer. The adhesion foils showed a semi-permanent adhesive force remaining even after the high-voltage system was grounded, turned off and removed. The force eventually declines over time. The reason for this force is currently under research. It is certainly an interesting phenomenon that is worth a closer look. The rover is not secured again after successful movement. It is intended to measure the force needed to detach the rover from the experiment area’s surface. The forces during reentry will prove ample to achieve that. They will also likely damage the rover, especially the delicate adhesion pads will likely be unusable after landing. REXUS experiments are launched on an unguided, spin-stabilised rocket powered by an Improved Orion Motor with 290 kg of solid propellant. It is capable of taking 40 kg of student experiment modules to an altitude of approximately 90 km. This enables the teams to conduct experiments in 2 minutes of micro-gravity and space-like conditions. The vehicle has a length of approx. 5.6 m and a body diameter of 35.6 cm. The REXUS/BEXUS programme is realised under a bilateral Agency Agreement between the German Aerospace Center (DLR) and the Swedish National Space Board (SNSB). The Swedish share of the payload has been made available to students from other European countries through a collaboration with the European Space Agency (ESA). EuroLaunch, a cooperation between the Esrange Space Center of SSC and the Mobile Rocket Base (MORABA) of DLR, is responsible for the campaign management and operations of the launch vehicles. Experts from DLR, SSC, ZARM and ESA provide technical and organisational support to the student teams throughout the project. 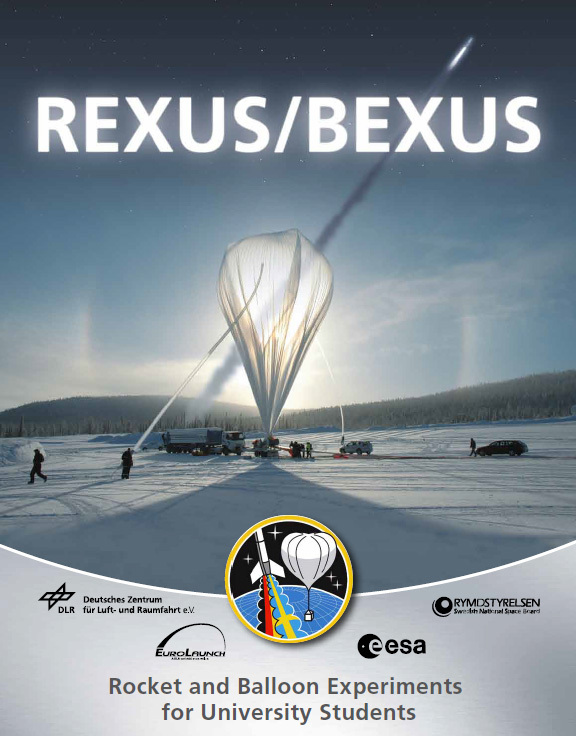 REXUS and BEXUS are launched from SSC, Esrange Space Center in northern Sweden. This program enables students to experience the entire development cycle of a space experiment first hand and thereby is a valuable source of education.